2019 Workshops with Jenny O'Leary, Hilary Beattie, Pauline Barnes, Una Smith, Katharine Guerrier and Alice Fox. Please see our website for further details and to book. 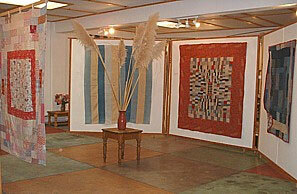 The Minerva Arts Centre is the home of the Quilt Association and its collection of heritage quilts. The collection contains a large number of antique quilts made in Wales during the 19th and 20th Centuries, along with various associated items such as quilting templates and frames. Our aim is, by making our collection available as a study source, we will act as a focus for quilting and other textile arts. 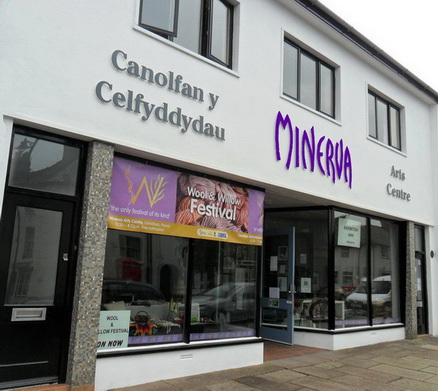 Our Minerva Arts Centre has all the facilities required to hold workshops, lectures and courses, as well as being the perfect setting to show off our own superb collection of quilts and visiting textile displays. It is difficult to categorise what is a 'typical' Welsh quilt, for the nature of a quilt, being a handcraft of thrift, saw the maker often use whatever material was to hand. Thus we have quilts patched from old cloths, suiting samples and carefully hoarded cottons, along with more exotic examples made from specially bought silks, satins and manufactured panels. 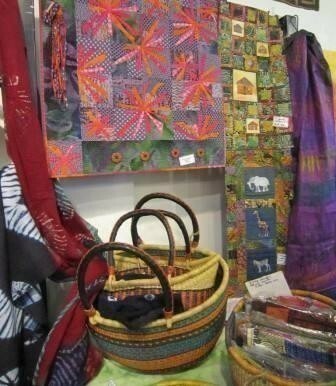 We also have examples of quilts that are 'whole cloths' and not actually patchwork at all. The clue to the Welshness of a quilt is in the quilting, where we can find 'typical' examples'. The spiral or snail's trail is a common theme, together with the Prince of Wales feathers, hearts and laurel leaves.